Truck Show Entry @ presale discount! Allows entry of 1 vehicle and the driver. At gate price is $60 for truck show entry Vehicle MUST be a truck, Jeep, or SUV. No refunds will be given for incorrectly registered vehicles. Cash prizes! Tech card will be given at the gate. Vehicle MUST be a truck, Jeep, or SUV. No refunds will be given for incorrectly registered vehicles. Vehicle MUST be a truck, Jeep, or SUV. Toyo Tire is giving away a new set of tires to the winner!!! Open to all Diesel/Gas Trucks, Jeeps, & SUVs! 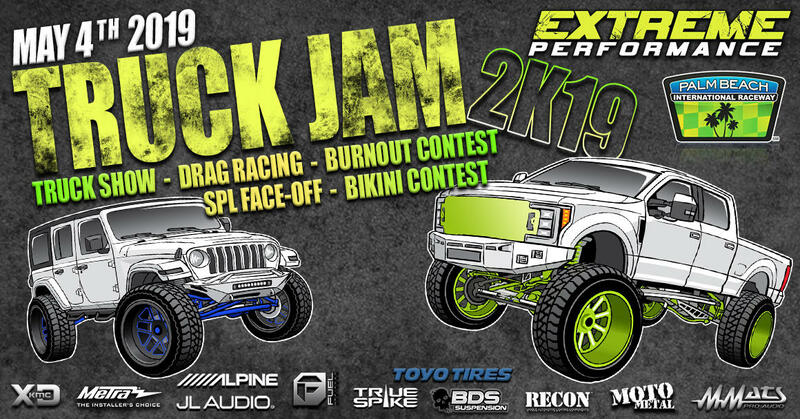 TNT / GRUDGE Trucks, Jeeps & SUVs only! Truck Show). Registration Takes Place at the White Tent Behind Concessions. *ALL DETAILS ARE SUBJECT TO CHANGE SO CHECK BACK PRIOR TO EVENT OR CONTACT US W/ QUESTIONS.